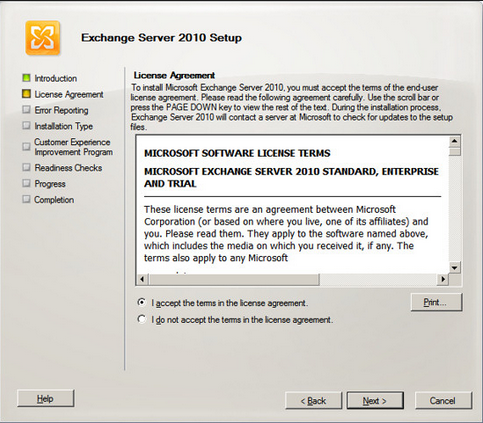 IIS MetaBase and IIS 6 Configuration Compatibility. 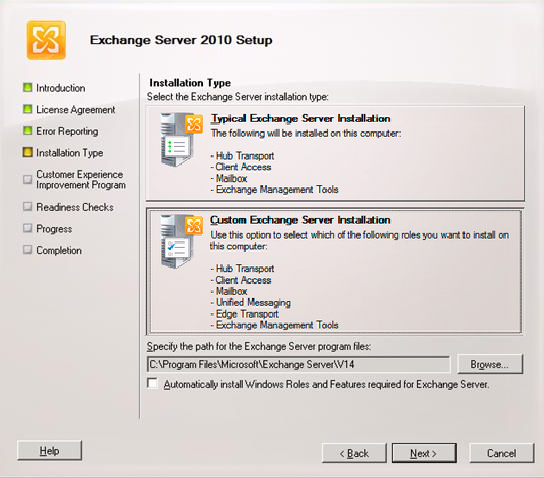 Copy the Setup Files of Exchange 2010 to the windows 7 machine and extract it. 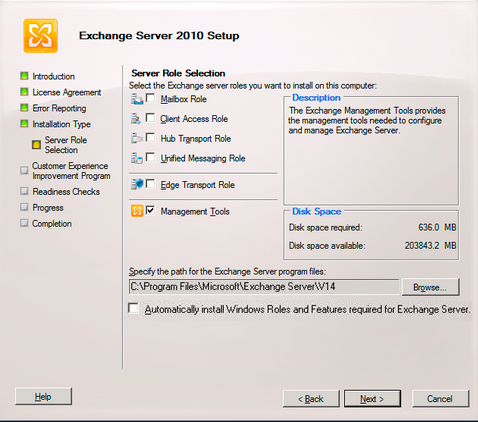 Click on Custom Exchange Server Installation, the box will indent. Make sure the tick box is NOT selected and then click Next. 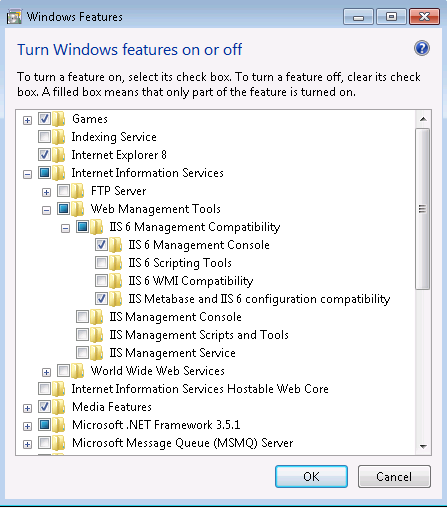 Select Management Tools as shown above, make sure the “Automatically install Windows roles” tick box is NOT selected. 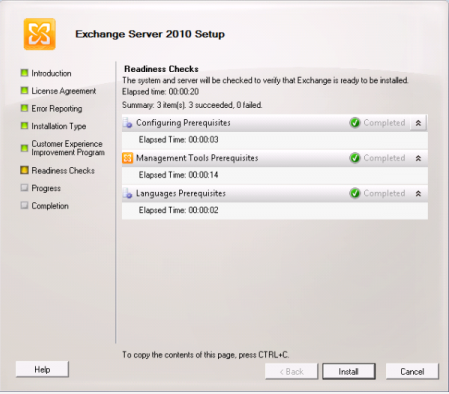 Once the readiness checks have completed click the Install button. If there are any errors first fix those. When the installation is complete click on the Finish button. 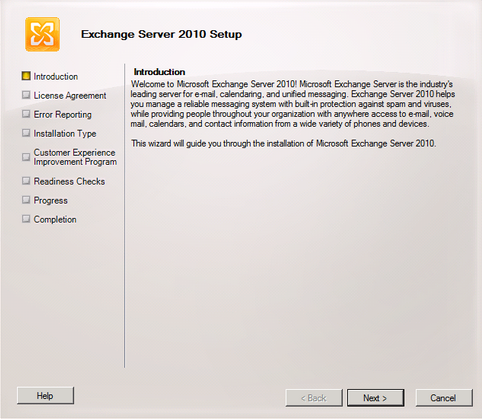 To Launch the Management Console click on Start -> All Programs -> Microsoft Exchange Server 2010 menu. 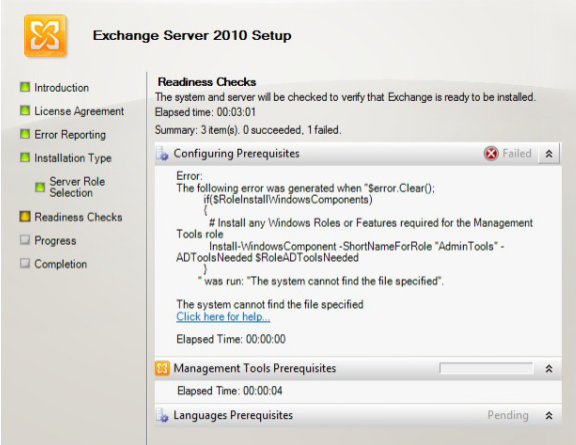 If you get the above error then make sure you didn’t select the tick box to install the server features. 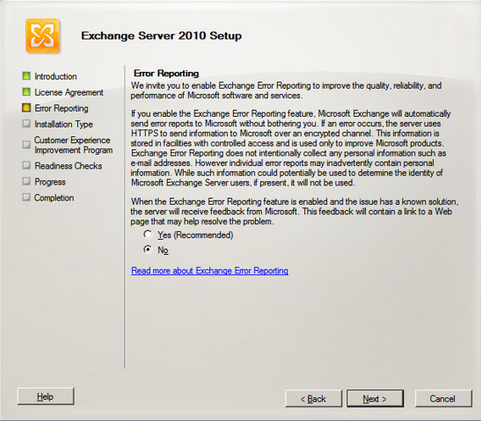 Try launch the setup with “Run As Administrator” to get rid of this error. Reblogged this on IT Pros – The KB Location.